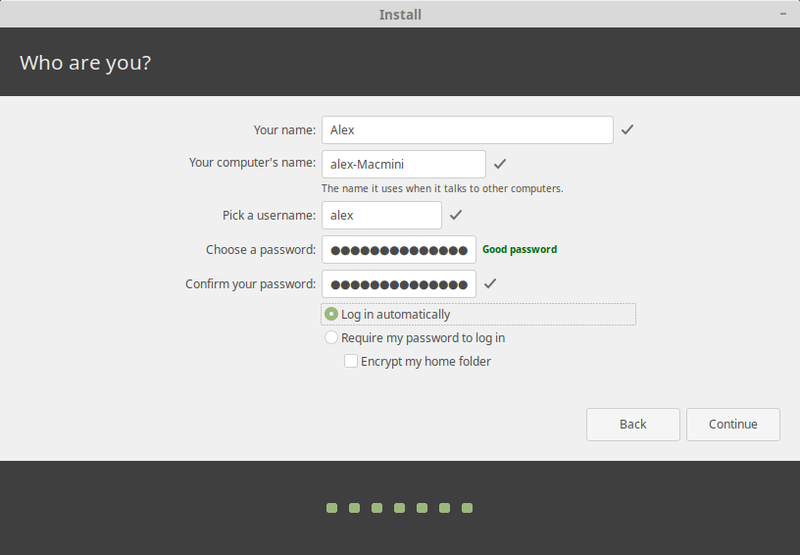 This post is part of a series of installation guide to install Linux on Mac Mini (late 2009) version. 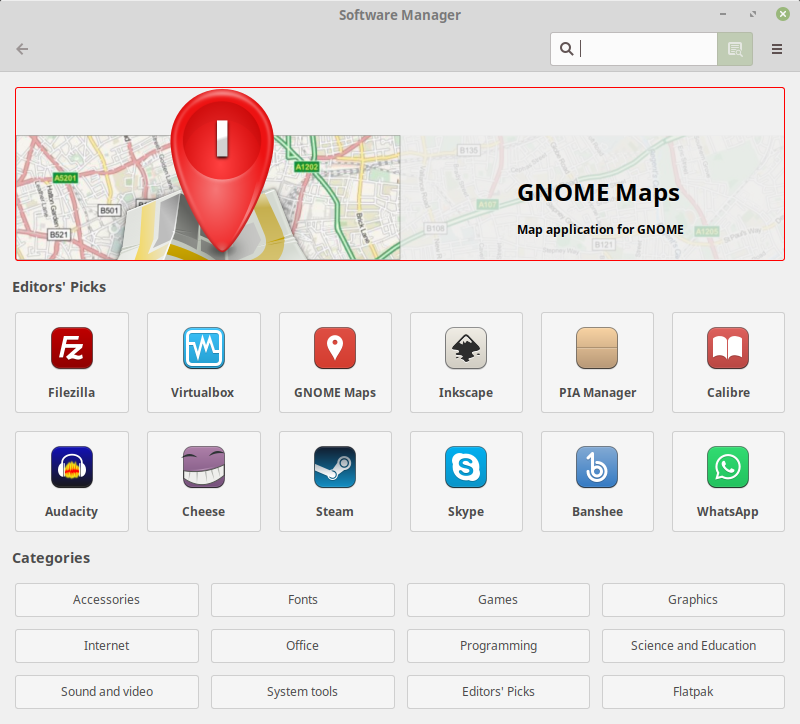 For other Linux distribution, please refer to the list at the bottom of this post. As we have mention in the main post, the video and wifi driver will be our main stumbling block. Based on our experience testing with various distribution, same driver can behave differently in different distribution. 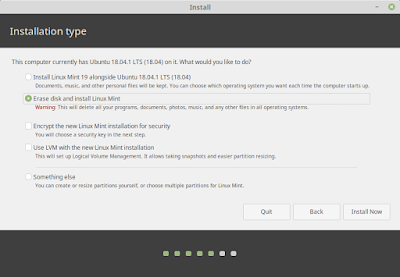 For Linux Mint, we find that third party driver will cause us more problem. 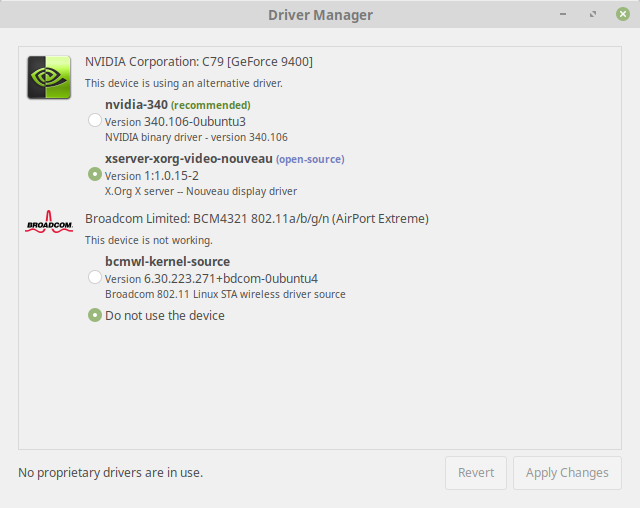 The recommended Broadcom BCM4321 wifi driver does not work at all. We need to install another driver. If we install Nvidia display driver, the windows will not launch if we boot the system with monitor attached. The best solution is use the default nouveau video driver. Preparing USB boot drive is quite straight forward. 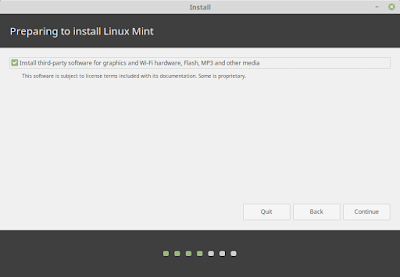 Please be aware that for Linux Mint 19, there are problem with the original installation image (linuxmint-19-cinnamon-64bit). 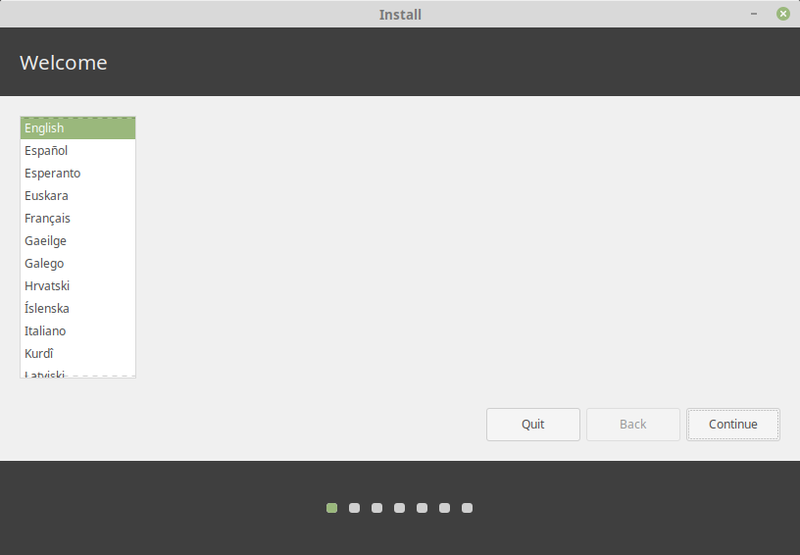 The installer will crash unless we disable network connection. 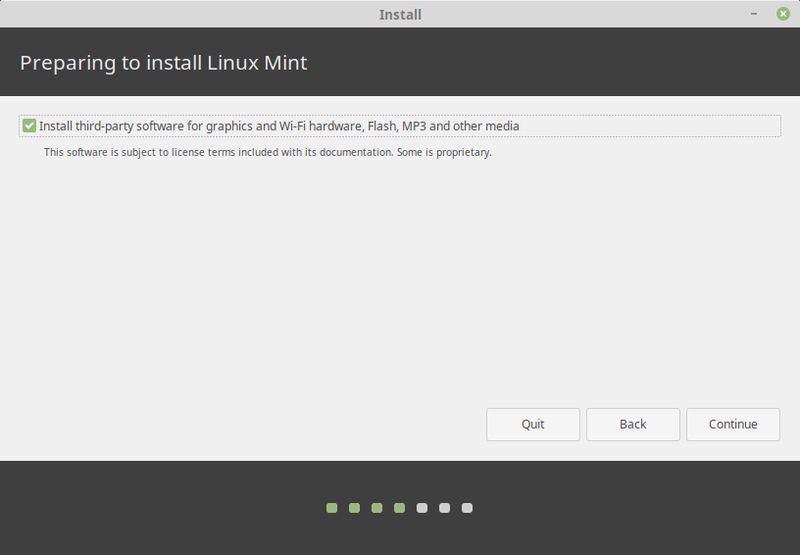 The developer did not remove the original image, instead they introduce another version (linuxmint-19-cinnamon-64bit-v2). 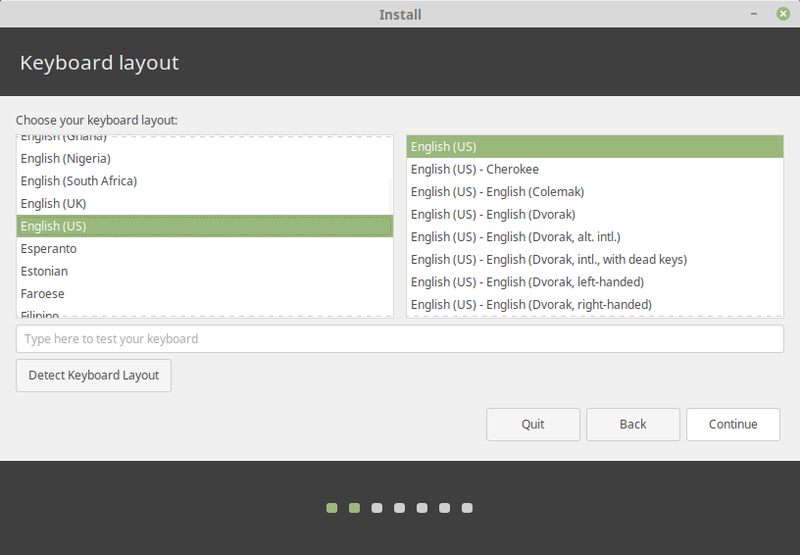 Please download version 2 of Linux Mint 19 instead of the original one. 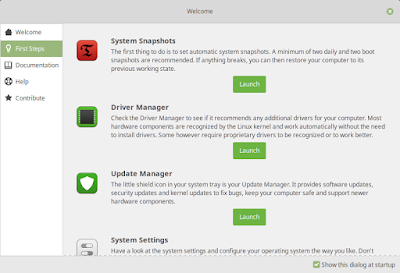 Preparing USB driver is the same as Ubuntu, download Etcher and burn to USB driver using this tool. To boot up from Mac, press option key (Alt for windows keyboard) when the Mac chimes during startup. 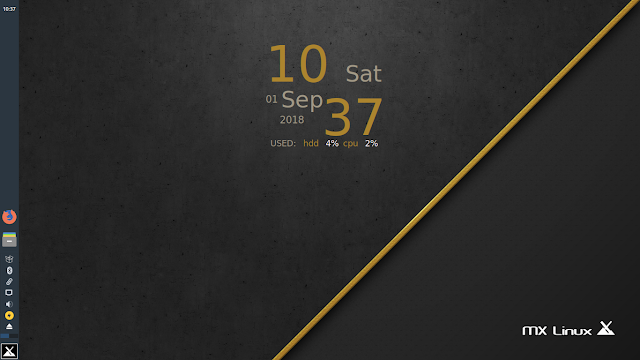 The boot menu will show various boot drive. Select the USB drive. Please note that if the OS hang during boot up, we might need to clear SMC or reset PRAM. Please search the web on the shortcut or check out our main post here. If SMC and PRAM has been reset and you still encounter problem, you might need to check the package or change USB driver. 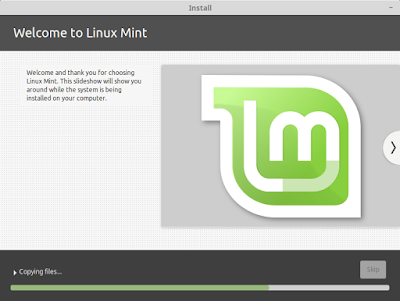 Once the live image is loaded, we can proceed to install Linux Mint. 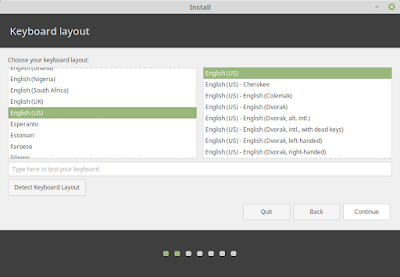 Select the keyboard layout and click Continue. Make sure third party software are checked so that we can install other software such as vlc. Click Continue. 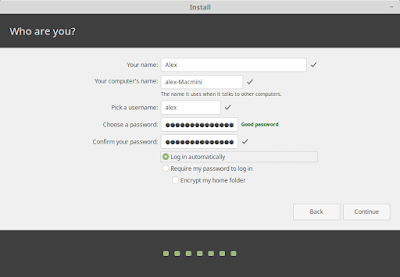 Select Erase data and install Linux Mint and click Install Now. The system will present to us how the system will partition the drive. 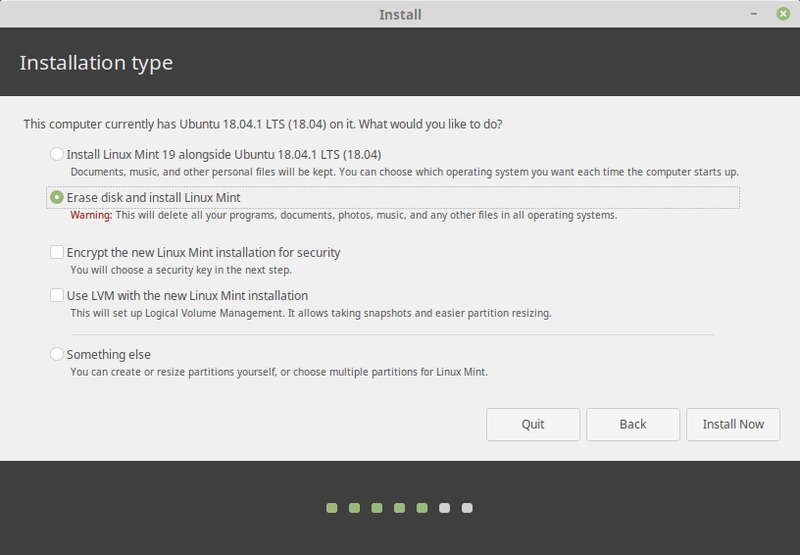 Basically Linux Mint need 2 partition. The first partition is about 500MB formatted with FAT32. It will mount /boot/efi with boot flag as boot, esp. The rest of the dis space is use to mount the root system. Click Continue. A map will appear. 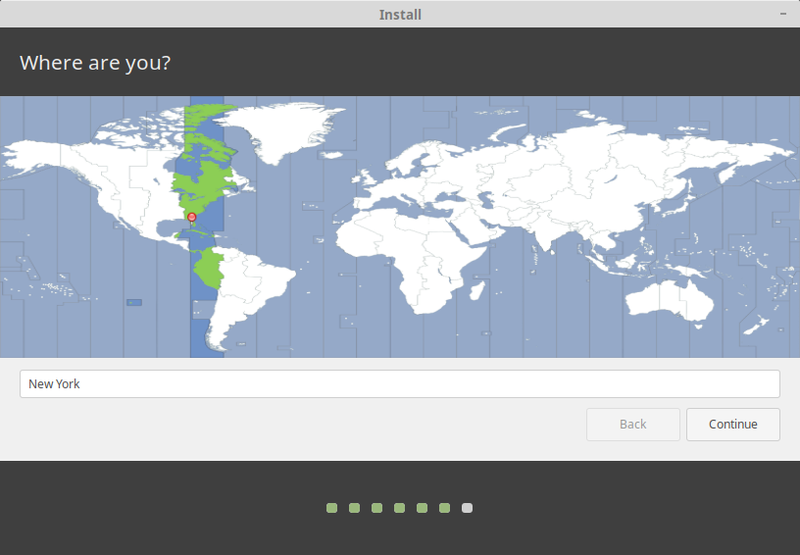 The location map is used to set your time zone. Select your appropriate time zone and click Continue. Enter host name, user name and password. Click Continue. The system will proceed to install the software. 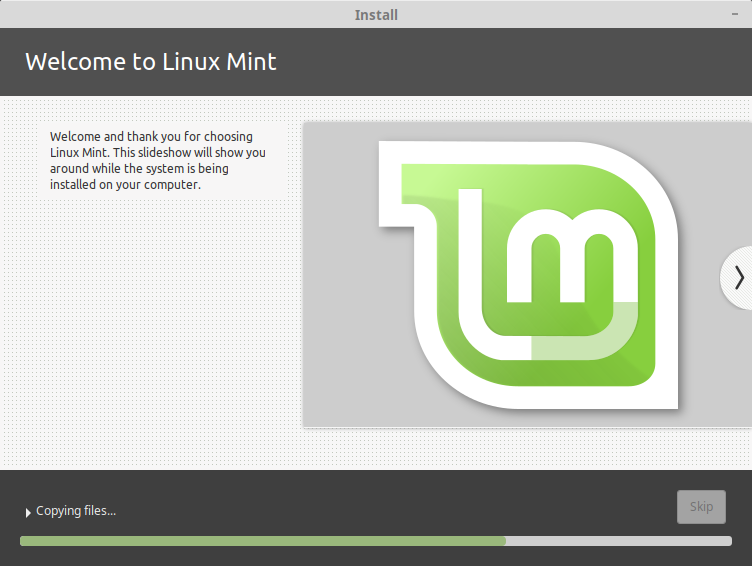 Once Linux Mint is booted, you will be presented will a startup screen. There are various option. The most important is to install update. 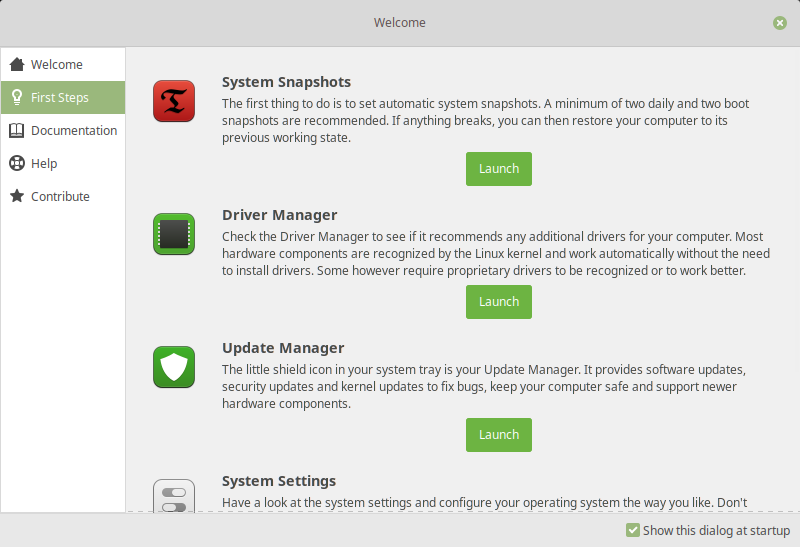 Launch Update Manager. Make sure updates are installed. Reboot the system if required. As mention earlier, the driver recommended for us in Driver Manager is not good. Please make sure we do not install these driver. Reboot the system. Now we are good to go. For additional software installation, please use the app Software Manager. Since third party repository are included, we can install gparted or vlc from the app.